Those of you that have RV kitchens know that they are T-I-N-Y. The size of our little RV kitchen has never really bothered me though. I guess it’s because I look at it as part of the adventure! 🙂 Every recipe I cook in the RV kitchen has been adapted and made more manageable in the tiny space. By making meals that can be prepped ahead of time you’ll save on pantry and fridge space. Meals that are 5 ingredients or less, and what I call, ‘dump and go’ recipes, are my absolute favorite. 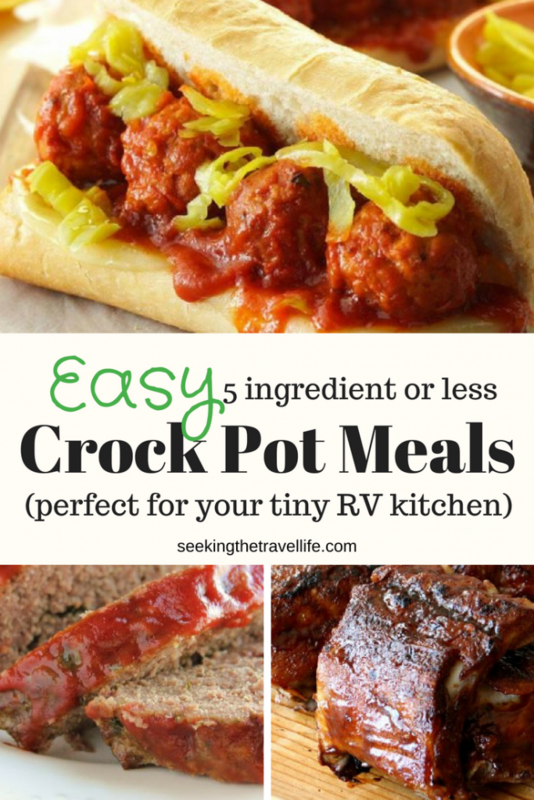 One of the easiest ways to cook in an RV is with a slow cooker. I LOVE using a slow cooker when we’re traveling on the road in our RV. We do a lot of exploring and activities during the day and by the time we get back to the RV I often run out of steam and don’t feel like cooking. It is so nice coming home and having your meal already cooked! When we’re not traveling I am working full-time so having a fast and easy crock pot meal is a lifesaver especially in the chaotic evenings. We have tested all of these recipes, and they were unanimously approved by all members of my family – 3 teen boys and my husband. I guess you could say our dog too, as she got a stray meatball from the meatball subs I made from the recipe below. LOL! 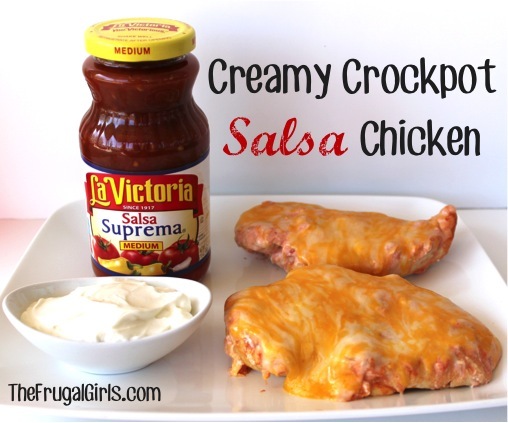 Easy meal idea: serve with re fried beans and a salad. 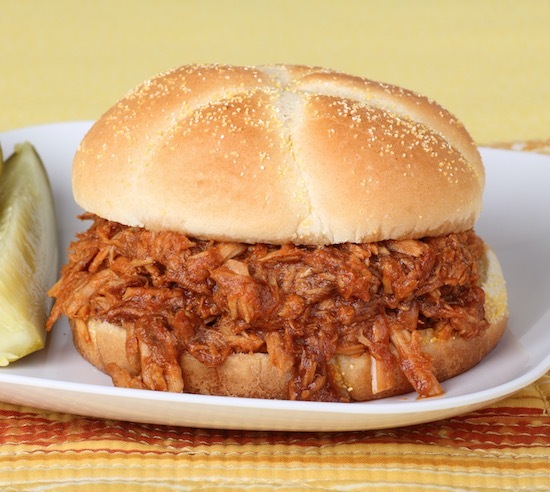 Easy meal idea: serve with corn-on-the-cob and baked beans. All of your recipes here look fabulous! And now, I’m hungry. Thanks for including mine in your collection! We should be thanking you! You’re recipe is one of the most requested recipes in our house. I love that I an also take it on the road and make it in the RV!